2013 is, as usual, going to be a busy year for Shearwater, though it probably won’t see the kind of touring that kept us on the road for 200 shows and 40,000 miles in 2012. We’re about to begin work on two new recording projects: the first is an album of songs by some of the other bands and artists we’ve toured with over the years; the second is the full-length follow-up to Animal Joy. Both will be released by Sub Pop (schedule TBA), and we’ll post updates here and, more frequently, on our Facebook page as we get stuck into them. The records will feature contributions from familiar and new faces (including, of course, Kimberly and Thor), and we’ll be recording them with Danny Reisch, who sat behind the board for Animal Joy and behind the drums for our tours last year. There’ll probably be a handful of live appearances this year as well. The first is at The Parish in Austin on February 16th, with support from Brass Bed (AJ tour bassist Christiaan Mader’s excellent band, from Lafayette, LA), and Austin’s own Marmalakes, who also supported us at our slightly exhausted Austin headlining show last year. Other than our brief opening slot for Dinosaur Jr, we weren’t able to play in Austin again in 2012, so we wanted to do it up right in the best-sounding room in our hometown after a proper night’s sleep (a rarity on tour). 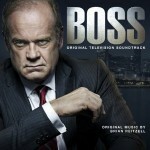 In other news, the excellent soundtrack for the ill-fated TV serial “Boss” (iTunes | Amazon) was released digitally just before Christmas. (It comes out on CD on January 29.) It features a song by JM, Lucas Harrison Oswald, and series music director Brian Reitzell called “One Overlord”, as well as new recordings by Robert Plant, Mark Hollis, Jim James, and, um, Kelsey Grammer’s scowling face. JM also ducked into the studio just before the new year to record a JM-penned song with Sharon Van Etten called “A Wake for the Minotaur”; the result should see release early this year. Finally, if you’re a Sky TV subscriber, our episode of From the Basement is debuting there in early February on Sky Arts and Sky 3D.